With a slew of events and iconic spots in bloom, springtime in Monterey is not to be missed. While seeing sights and buying souvenirs are standard vacation activity, the real gift of travel is making memories that last a lifetime. 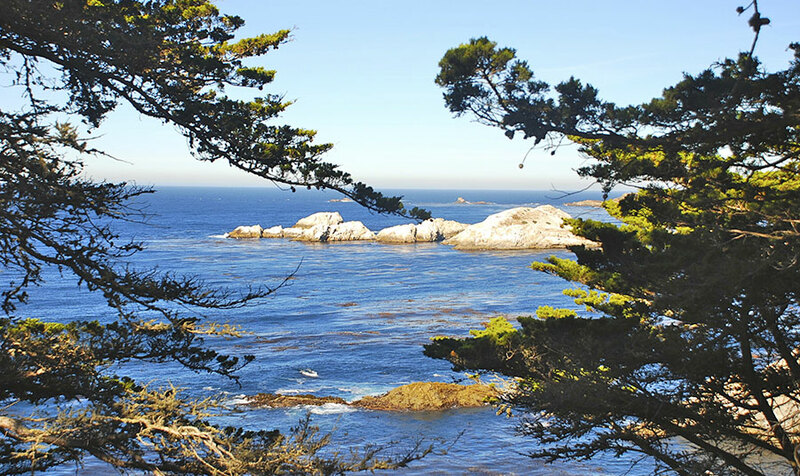 Experiential travel on the Monterey Peninsula offers authentic opportunities for cultural and culinary exploration, active pursuits and even connections to pop culture. Plus, the area's "Instagrammability" is off the charts. History is alive in the downtown heritage district of Monterey. Well-maintained museums and attractions are open to the public. Local walking tours provide an insiders look from the areas rich past while events and festivals offer the current cultural experiences like. Culinary exploration abounds in Monterey County. Tours to nearby wineries and brewery tours in downtown toast the region, while Monterey's abundant Farmer's Market offers a taste of the areas abundant harvest. World-class food and wine events and fantastic area restaurants keep visitors coming back for more. We put together a list of things you are not going to want to miss this season. Monterey in Bloom - Starting in early April Ocean View Boulevard in Pacific Grove breaks out in beautiful magenta ice plant, otherwise known as the "Magic Purple Carpet", turning one of the most beautiful coastline views into a more stunning site. Rent a bike from one of our hotels and take a magic carpet ride along the coast. Experience Cannery Row - Take a stroll and experience spring fun for the whole family on Cannery Row, home of the annual Car Show on Cannery Row each August. Experience the marine life of the National Marine Sanctuary from tide pools formed McAbee beach located just below Steinbeck Plaza or visit the Monterey Bay Aquarium, which includes hours of fun for all ages! Explore the magic of the coast and take a surrey ride from Adventures by the Sea and ride along the Recreation Trail and finish with a stop at Ghirardelli's Ice Cream and Chocolate Shop! Enjoy a taste of the local wine crop while taking in picturesque ocean views at A Taste of Monterey where you can try Monterey's award winning Chardonnay varietal along with other impressive fine wines from 95 wineries in Monterey. Relax at the Beach - With the days getting longer, now is the perfect time to enjoy a beach day on one of Monterey's many beaches before the crowds of summer. Spend a day, soaking in the sunshine on Del Monte Beach in Monterey or launch a kayak from San Carlos or McAbee Beach along Cannery Row. Whale Watching - During the Spring months Gray Whales travel over 12,000 back up north after and tend to migrate close to the shoreline, making them easily visible in Monterey. Dolphins are also commonly spotted during the spring along with Harbor Seals. Schedule your trip by visiting Monterey Bay Whale Watch. Attend a Famed Event - Whether you're a foodie, wine lover, outdoor enthusiast, or a car junkie we have an event for you. While Monterey is home to some of the most renowned events, some of the best are reserved for the springtime. Take part in the culinary experience of a lifetime at the Pebble Beach Food & Wine event, April 11th through the 14th and enjoy tastings from 60 celebrity chefs and 250 wineries. On Saturday, May 4th, enjoy wine tastings from 42 different varietals at the Winemakers' Celebration in Carmel. Experience the world's premier cycling festival, the Sea Otter Classic, April 11-14th. Spend a day in the sun as you cheer on the finishers in the Big Sur International Marathon, one of the most challenging marathons in the world. The marathon expo will be open Saturday & Sunday, April 27th & 28th, for runners and visitors alike to pick up the latest fitness apparel and gear. Finally, gear up for the world-famous U.S. Open event happening at Pebble Beach, June 10th through the 16th, 2019.